Lightsource and BP today announced that they have agreed to form a strategic partnership, bringing Lightsource’s solar development and management expertise together with BP’s global scale, relationships and trading capabilities to drive further growth across the world. BP will acquire on completion a 43% equity share in Lightsource for a total consideration of $200 million, paid over three years. The great majority of this investment will fund Lightsource’s worldwide growth pipeline. The company will be renamed Lightsource BP and BP will have two seats on the board of directors. Global installed solar generating capacity more than tripled in the past four years and grew by over 30% in 2016 alone, according to BP’s Statistical Review of World Energy. BP’s Energy Outlook analysis sees solar as likely to generate around a third of the world’s total renewable power and up to 10% of total global power by 2035. Lightsource is a global leader in the development, acquisition and long-term management of large-scale solar projects and smart energy solutions worldwide. It has grown in just seven years to become Europe’s largest developer and operator of utility-scale solar projects. The company has commissioned 1.3 GW of solar capacity to date and manages approximately 2GW of capacity under long-term operations and maintenance contracts – the equivalent of powering over half a million homes through clean energy. BP’s interest in Lightsource BP will complement its existing Alternative Energy business, which includes wind energy, biofuels and biopower. BP Wind Energy has interests in onshore wind energy across the US with total gross generating capacity of 2.3GW. BP Biofuels has world scale plants in Brazil, which produce around 800 million litres of ethanol equivalent per year as well as generating low-carbon power for Brazil’s national grid. Lightsource BP will target the growing demand for large-scale solar projects worldwide with a focus on grid-connected plants and corporate power purchase agreements (PPAs) signed with private companies. The company will continue to develop and deliver Lightsource’s 6GW growth pipeline, which is largely focused in the US, India, Europe and the Middle East. 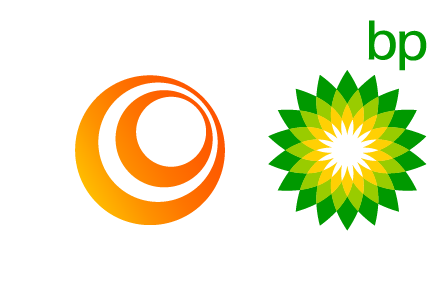 The company sees opportunities to create additional value through integrating solar with BP’s other businesses and trading capabilities as well as through BP’s international scale and relationships. Under the terms of the agreement, BP will pay Lightsource $50million on completion of the agreement, with the balance paid in instalments over three years. Completion is anticipated in early 2018. Lightsource were advised by Rothschild, White and Case, Deloitte and Baker & McKenzie. All rights reserved. © 2018 Lightsource.